Care2 Healthy Living | Is Avocado a Fruit or a Vegetable? More specifically, it’s a large berry with a single seed. Although it’s not nearly as sweet as many other fruits, it falls under the definition of fruit, which is “the sweet and fleshy product of a tree or other plant that contains seed and can be eaten as food” (1). Avocados grow on trees in warmer climates but are native to Mexico. They have a creamy and smooth texture and are covered by a bumpy, thick, dark green or blackish skin. Half of a small avocado (68 grams) is considered one serving. It contains 109 calories and is packed with healthy fats and nutrients (2, 3, 4). Bottom Line: The avocado is a fruit. It’s a single-seeded berry that grows on trees in warmer climates but is native to Mexico. Both fruits and vegetables come from plants, and it can be hard to distinguish between them. In fact, there is no formal way to do so. However, the main botanical difference is from which part of the plant they originate (5, 6). While fruits develop from a plant’s flower and often contain seeds, vegetables usually consist of the stalks, flower buds, roots or leaves. Although these guidelines are not set in stone, they should be sufficient to distinguish between fruits and vegetables most of the time. Bottom Line: Fruits originate from plant parts that develop from flowers and contain seeds. Vegetables originate from plant stems, leaves and roots. Avocados are not the only fruit you might think is a vegetable. While the difference is often clear, many fruits are commonly mistaken for vegetables. Bottom Line: There are a few fruits that are generally thought to be vegetables. These include cucumbers, peppers, tomatoes and string beans. This is done by simply mashing the avocado with lemon juice and adding other optional ingredients such as onion, cilantro, chili and tomato. Avocados can also be eaten raw. With a little bit of salt and pepper, they taste delicious. They also make a great topping for any salad. Because of their high fat content, they help you absorb vitamins from other vegetables in the meal (7). Furthermore, their smooth and creamy texture makes them a great choice for puddings or smoothies. Lastly, avocados can be used as a replacement for butter either as a spread or in baking. 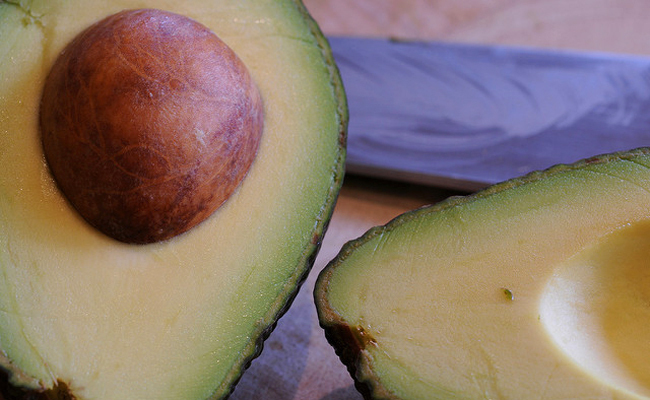 Bottom Line: Avocados can be eaten raw or made into guacamole and puddings. You can also add them salads, recipes and smoothies. Despite often being confused for a vegetable and eaten in salads, avocados are technically a fruit. Written by Adda Bjarnadottir. This post originally appeared on Authority Nutrition. Wow, would have never guessed.